As part of my “self motivation” plan to get back into shape, I decided to “inspire” friends new to running to join races and our regular trainings. My first project was Chie, a friend who used to join aero-marathons (yes, there is such an event in their world). 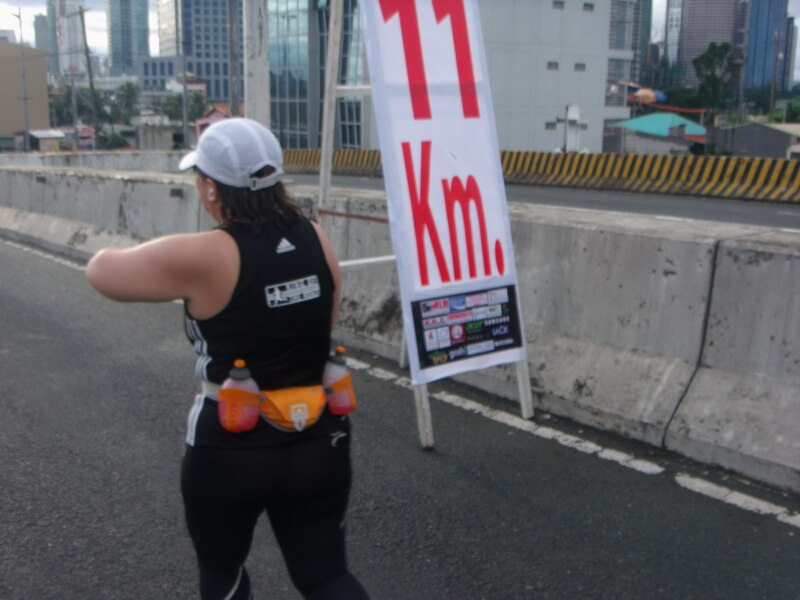 She ran her 1st 21k or I should say 23-something k with me last year during QCIM. There’s Cyril and MM, friends who decided that I have “deceived” them into thinking that they can run. Hey, M did 5k already so I’m already proud of her achievement. And there is Cary, hubby’s friend, who started running with Tris, another of hubby’s friends. Cary was running his 1st 10k when hubby decided to run with him. 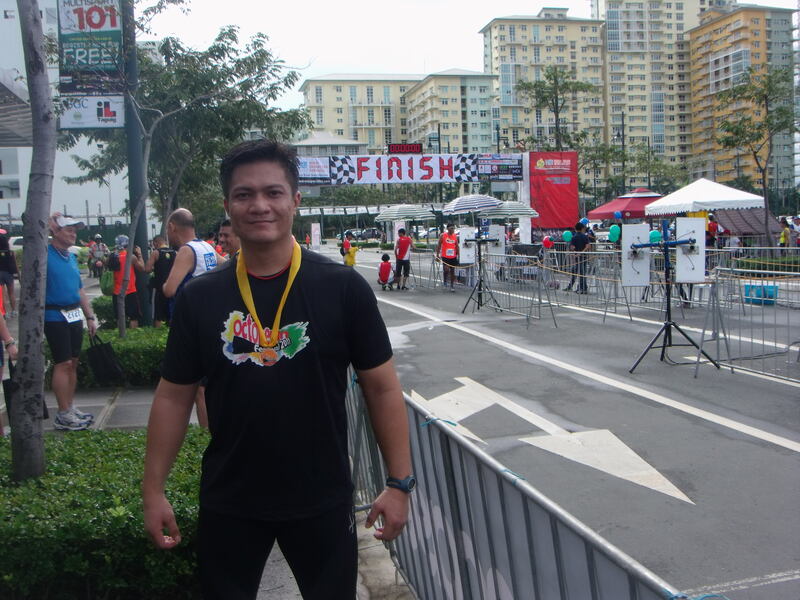 This was during the Earth Day run last August. 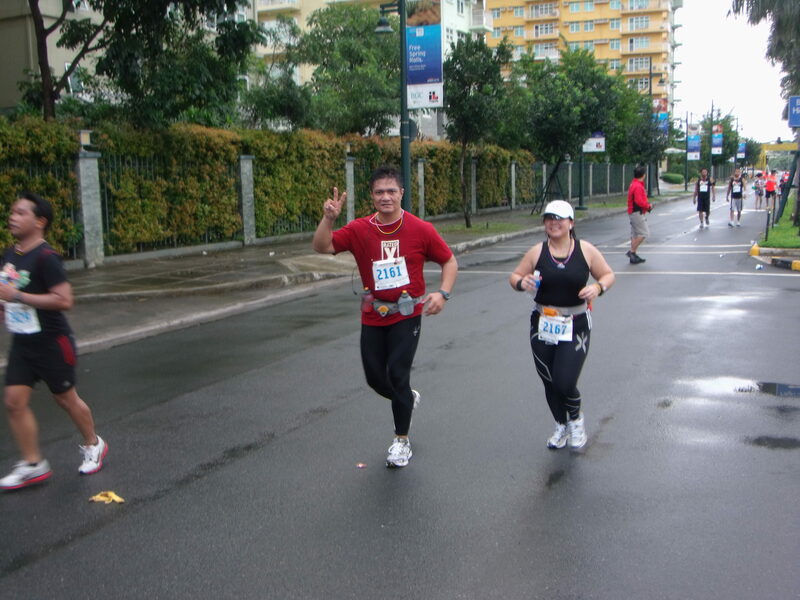 We started to run together almost every Tuesday and Thursday in BGC. I knew that he had the makings of a person who would have running addictus so I decided to help him build his confidence by providing simple tips, teaching him running drills, planning his training for the evening and eventually motivating him to sign up for his 1st 21k. And sign up he did! Hubby decided to tag along to be our unofficial photographer and support which was great! At least I can assure Cary that he will have good photos. 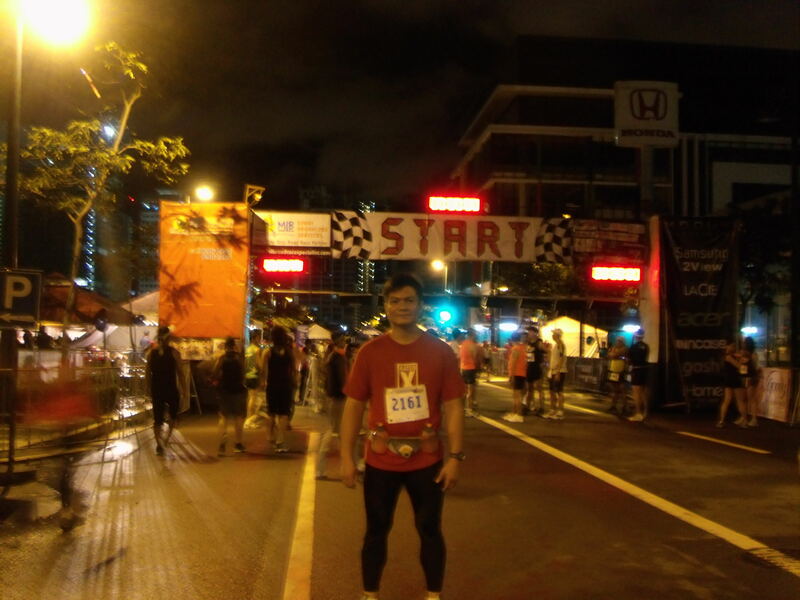 Guntime for the 21k was at 5:15am. Cary arrived at the venue 4:05am. Talk about excited. We both agreed that we will do a 4:1 Galloway Run-Walk throughout the entire course. But I told him that my target time for him was sub-3 so he can beat Noy’s time. Hehe! 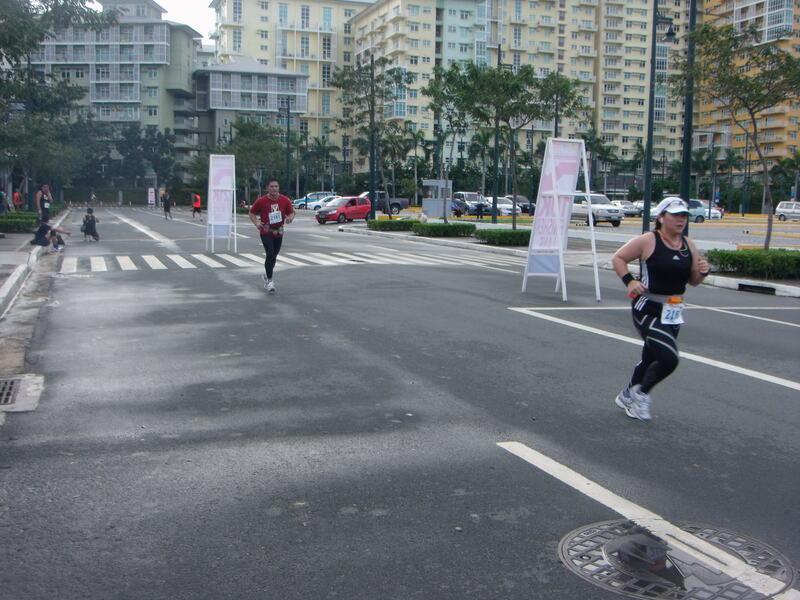 He kept on saying that it was enough that he finishes the race. No can do…I secretly said to myself. I finally figured out how to remove that really irritating beeping sound of my Garmin so I relied on it time our intervals. Unfortunately Cary had the sniffles so he had a hard time breathing. Oh no…. So far so good. Kalayaan Flyover, no problem! It started raining by the time we hit Buendia-Makati Ave. I was hoping that it wouldn’t dampen Cary’s spirits and it didn’t! In fact, he looked like he was enjoying it. It was smooth sailing all the way until km8. When I proudly told Cary that we were already at km8, he was like “Ha? 8k pa lang?”. I told him…”No Cary, 8k na! That’s how you’re suppose to react.” I told hi that running long distance is all about your will and mental preparedness to finish that race. You are against your own person and positive thinking will always bring you across that finish line. We then saw Noy at the bottom of the Kalayaan Flyover. He gave us some water to drink and I told him to take a photo of Cary as soon as he hits Km11. This was his farthest race km marker! Haha! But as always, no such luck! Hubby really doesn’t have the skill to be a photographer. Booo! I told Noy to take a photo of Cary by the km 11 marker not me! Fail! We left Noy as soon as we got back to BGC. He wanted to wait for us by the finish line. I allowed Cary some down time as I could see that he was having a hard time breathing. By the time we got to the BHS/Serendra area, I began to push him again. Since the IS, EveryNation area was part of our weekly regular route, we did not have a hard time running through this neck of the woods. I would tell him stories about my first few races, my first Half, my first full mary. I provided him tips on how to regulate his breathing and how to prevent cramps and side stitches. I wanted to push him more. 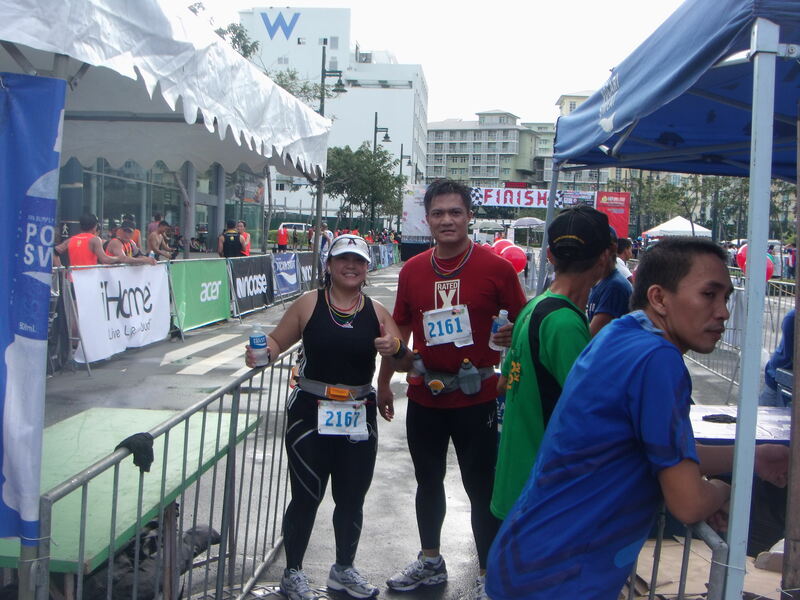 I knew that he would beat hubby’s 1st HM time and I wanted him to beat mine but he was happy with just finishing the race. It was a pleasant last few kms before the finish line. Goodness, Cary was negotiating with me. He wanted to walk until the curb where the finish line would be. I declined and told him to just slowly jog and to not stop. He agreed 🙂 He also agree to run alongside of me as I strived to sprint towards the finish line. 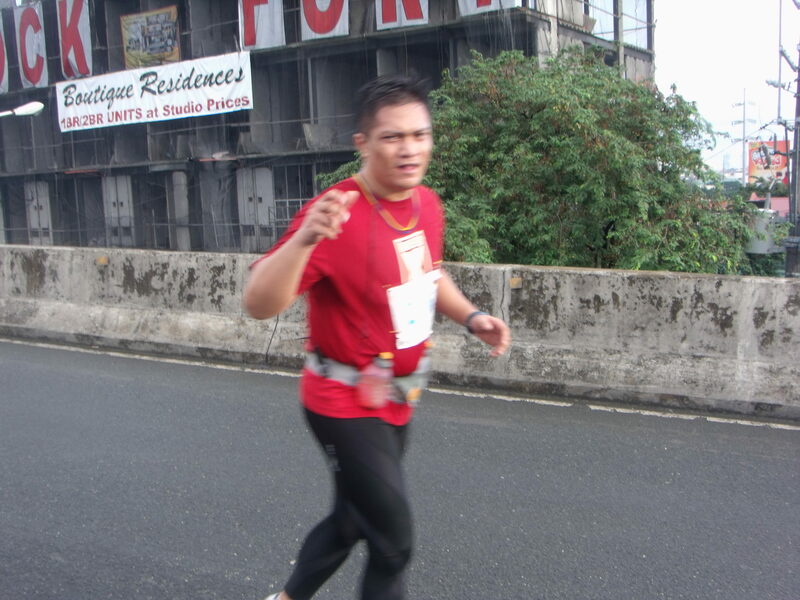 I told Noy to make sure he takes a lot of photos of Cary running towards the finish. And what did I get?…. To Cary, I know that you will be a stronger runner than me one day. And let’s train together to make sure that happens! Cheers!